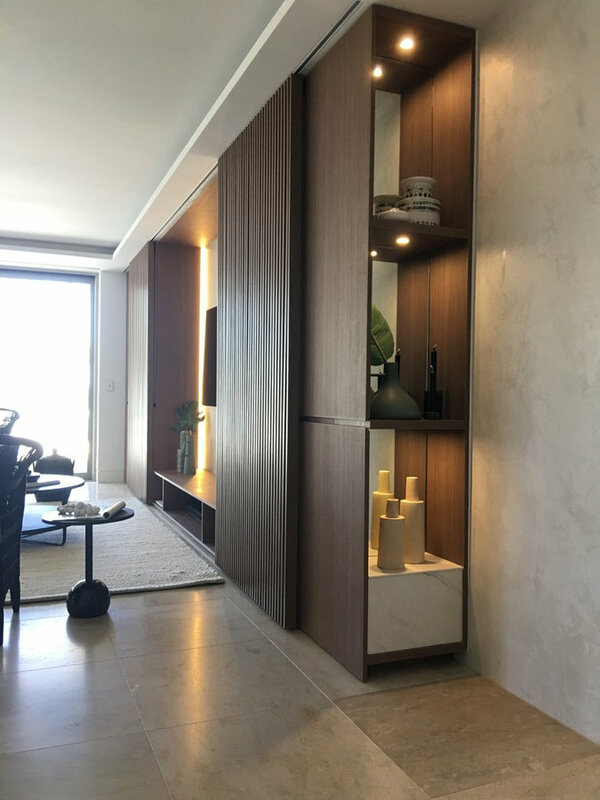 A large entertainment unit hidden behind exquisite sliding screen doors made from MDF, and a veneer finish (same as the cabinet doors). 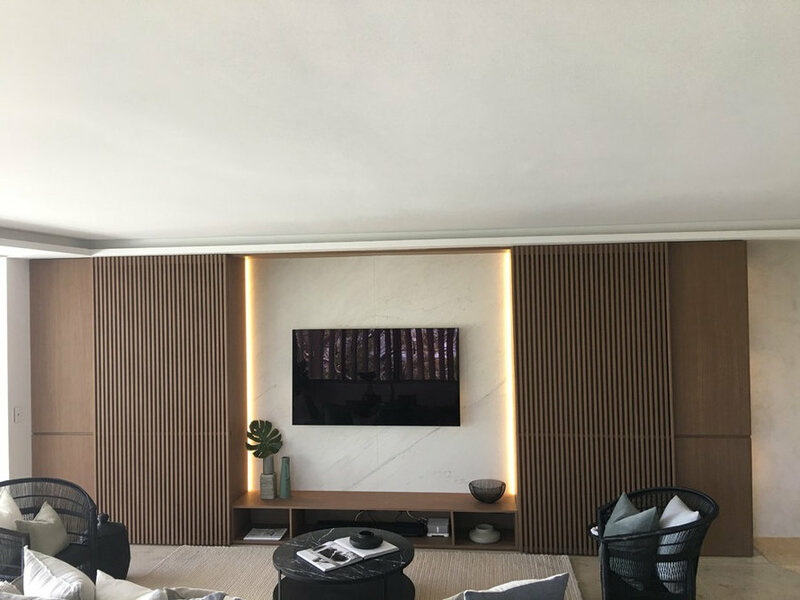 This design is not only visually appealing, but fairly practical as it keeps the entertainment quarters well-hidden and seamless along the edges of the wall. 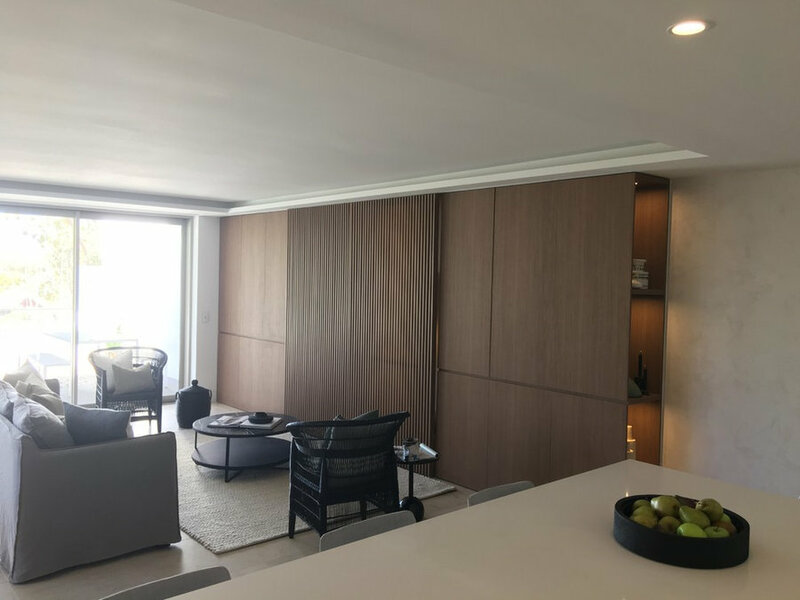 It is a contemporary and luxe design which blends well with the cabinet and the colour schematic of the house. 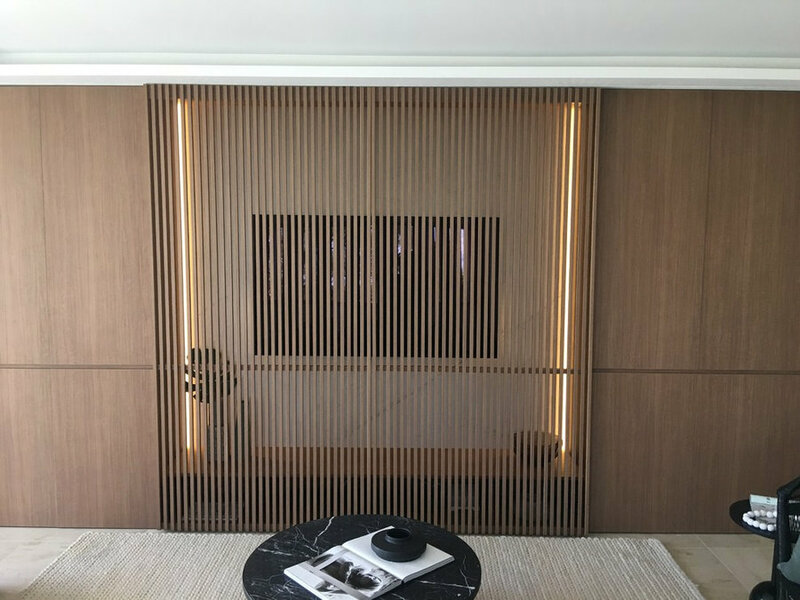 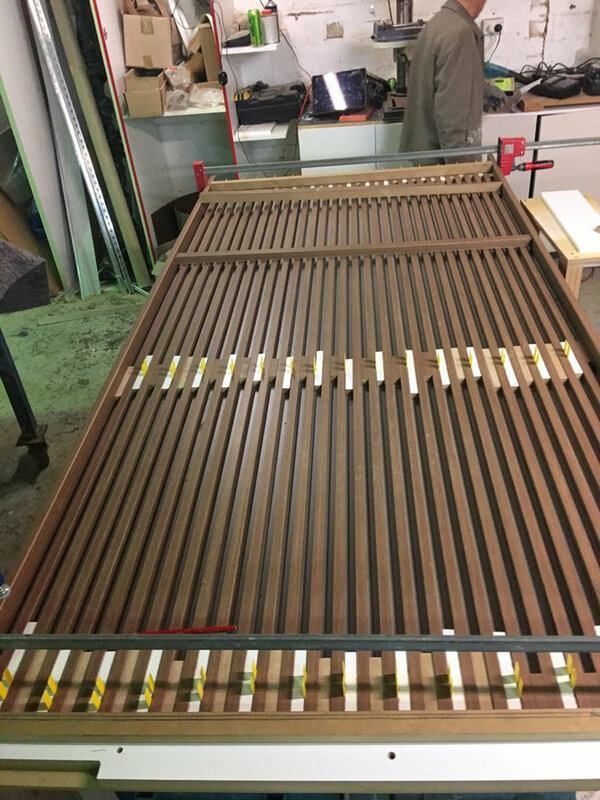 The extra lighting strips across the side, give the design depth and make it aesthetically pleasing to look at.